When a driver is arrested and charged with driving while intoxicated in New Jersey, there are many things that will go through his or her head. The first impression is likely to be that there’s no way to have the charges dismissed or to win an acquittal and that it’s overwhelmingly likely that the harsh penalties for the traffic offense of DWI will have to be paid. It can be a trying time. After all, the officer won’t make the arrest unless there’s some form of evidence to justify the charges. These are usually based on field sobriety tests and a breathalyzer test. Although these pieces of evidence might seem difficult to overcome, there’s always the possibility that the officer made some kind of error or there are mitigating factors to render the evidence as inadmissible or inaccurate. When challenging the evidence validating a DWI arrest, it’s important to know the procedures and what actions on the part of the police officer might be cause to have the charges dismissed or be acquitted. For example, when a the traffic stop is made, there must be probable cause for it. In other words, there had to be some justification for the officer to investigate. If the driver went through a red light, was swerving in and out of traffic, made dangerous maneuvers or drove erratically, that’s enough for the officer to make the stop. Once the stop has been made, the officer will then speak to the driver asking for the license, registration and insurance. Other questions such as where the driver is coming from will be asked. While this is happening, the officer will look for telltale signs of inebriations such as bloodshot eyes, slurred speech and the smell of alcohol emanating from the driver. After that, the officer will give field sobriety tests such as the Walk and Turn test, the Horizontal Gaze Nystagmus test and the One-Leg Stand test. If the driver performs poorly on these tests, the breath test will be given to determine the blood alcohol content. With BAC, certain levels will result in an arrest. If a driver who is 21 or over registers a BAC of 0.08% or higher, there will be an arrest. If the driver is under 21, the level is 0.01%. For a commercial driver, the level is 0.04%. With higher levels of BAC, the penalties for a DWI rise commensurately. When a driver is convicted of a first offense DWI with a BAC of 0.08% and below 0.10%, there will be a driver’s license suspension of three months. The driver will be fined $250 to $400. There could be up to 30 days in jail. There will be an annual surcharge of $1,000 for three years. $230 will be paid to the Intoxicated Driver Resource Center (IDRC). $100 each will go to the drunk driving fund and the Alcohol Education and Rehabilitation Fund (AERF). $75 will go to the Neighborhood Services Fund. Considering the nature of the penalties and how they will affect a person’s life, it is wise to try and challenge the DWI evidence wherever possible. 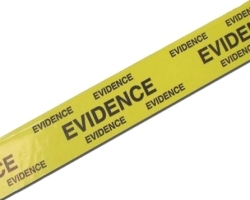 The first thing a defense attorney will do is examine the evidence of the arrest. This will include the reports, breath test results, blood test results, results of the field sobriety tests and the police video footage from the patrol car if the vehicle was equipped with a camera. It’s important to know whether or not the traffic stop can be questioned. The officer is not allowed to stop a vehicle on a whim. There has to be a valid reason for it and if it can be shown that the driver hadn’t done anything to warrant the stop, there is an opportunity to challenge that evidence. With the field sobriety tests, there are ways in which the test results can be called into question. If the driver has a medical condition that can explain the slurred speech or bloodshot eyes and that medical condition also influenced the ability to complete the tests, the entire basis of the arrest could unravel. When it comes to the actual performance of the field sobriety tests, the location where the test was given will be important. If the area is on a hill, has a large amount of rocks and holes, then it could be argued that the driver failed the tests because of the road. The breathalyzer test has many aspects that can be challenged. When the officer prepares to give the breath test, part of the process is that the driver must be observed for 20 uninterrupted minutes to make sure that nothing is done to compromise the accuracy of the test. This can include regurgitating, chewing gum, eating or smoking a cigarette. If the 20 minute rule is violated, then the officer must start all over again. 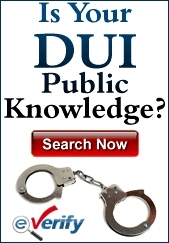 If it is not completed, then the DWI test can be inaccurate and inadmissible. The officer must be certified to give the test. There are instances in which the officer has let the certification lapse and was technically not certified to give the test. That could be an opening to exclude the evidence. The machine itself must be properly calibrated. It is imperative that the machine be properly maintained so that it is in sound working order. If it isn’t, that too could be the foundation for an acquittal. Given the harsh nature of the penalties for a DWI, an experienced attorney will look for flaws in the prosecution’s case. That will definitely include examining the evidence from the arrest and trying to call it into question.